The term ‘lithic’ is derived from the ancient Greek word for ‘rock’ (lithos), used in the late fourth century BCE by the scholar Theophrastus. The term ‘lithic’ in the way we use it today, meaning small rock artifact, most often chipped or ground stone, came into common use less than eight decades ago. 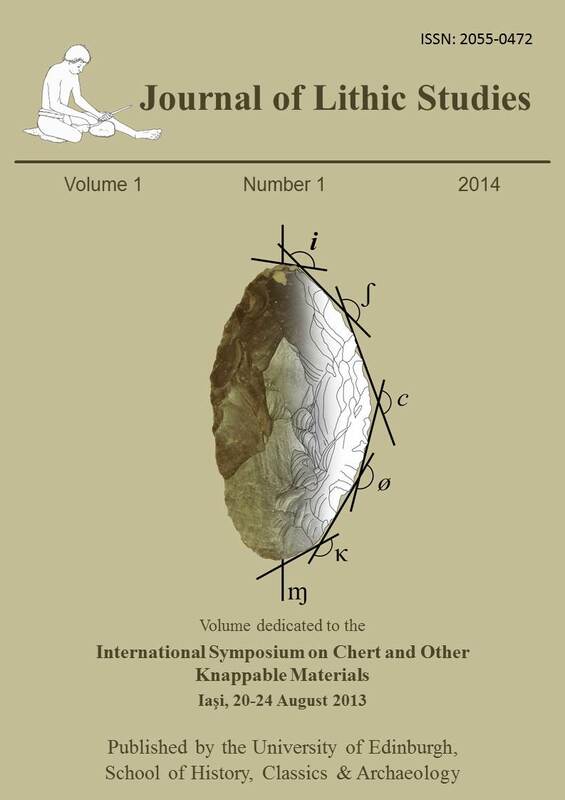 The terms ‘stone tool’ and ‘stone implement’ remain firmly entrenched in the archaeological literature. Department of Geological Sciences, University of Minnesota, Duluth and Twin Cities, U.S.A.
Agricola, G. 2004, De Natura Fossilium (Textbook of Mineralogy). Translated from the first Latin Edition of 1546 by M. C. Bandy and J.A. Bandy. Dover Publications, Mineola NY, 240 p.
Andersson, J.G. 1943, Researches Into the Prehistory of the Chinese. Bulletin 15. The Museum of Far Eastern Antiquities, Stockholm, 304 p. plus 200 plates. Caley, E. & Richards, J. 1956, Theophrastus On Stones: Introduction, Greek Text, English Translation, and Commentary. Ohio State University, Columbus, 238 p.
Divry, G. 1969, Divry’s New English-Greek and Greek-English Handy Dictionary. D.C. Divry, Inc., New York, 511 p.
Gibbon, G. 1998, Archaeology of Prehistoric North America: An Encyclopedia. Garland Publishing, New York and London, 941 p.
Guernsey, E. 1937, Certain southern Indiana sources of lithic artifact material. Indiana Academy of Science Proceedings, 46:47-52. Holmes, W.H. 1894, Natural History of Flaked Stone Implements. Memoirs, International Congress of Anthropology, Chicago, 1894, p. 120-139. Holmes, W.H. 1897, Stone Implements of the Potomac-Chesapeake Tidewater Province. Fifteenth Annual Report, Bureau of Ethnology, 1893-1894, p. 13-152. Jackson, J. 1997, Glossary of Geology. Fourth Edition. American Geological Institute, Alexandria, VA, 769 p.
Johnson, S. 1818, Dictionary of the English Language. In Four Volumes. Longman, Hurst, Rees, Orme, and Brown, London. Lyell, C. 1870, Geological Evidences for the Antiquity of Man. Second American Edition. Lippincott & Co, Philadelphia, 526 p.
Oxford English Dictionary. 1933, Oxford University Press: Glasgow, etc. In multiple volumes. Pumpelly, R. 1908, Explorations in Turkestan. Expedition of 1904, Prehistoric Civilization of Annu. In Two Volumes. Carnegie Institution of Washington, Washington D.C.
Rapp, G. 2014 (in press), Johan Gunnar Andersson: Archaeological Geologist and Pioneer. Earth Sciences History 33 No. 1. Schliemann, H. 1976, Reprint of 1875 Edition. Troy and Its Remains. Arno Press, New York, 392 p. plus 3 maps and 52 plates, 1716 p.
Webster’s New World College Dictionary. Fourth Edition. 2000, IDG Books, Foster City, CA.